Life is challenging, there is no way around it. However, we have the power of our own soul's light to stabilize our energy amidst the challenge, and find the way to joy, peace, and victory. Kundalini Yoga & Meditation as taught by Yogi Bhajan is an ancient science that guides us to close our two outer eyes and to open our one inner eye so that we may know ourselves, and relate to this light on a regular basis. The techniques are simple yet profound and include postures, breath work, movement, meditation, chanting and relaxation. All levels are welcome. Please bring water, loose fitting yoga clothes to allow for movement, and a yoga mat. 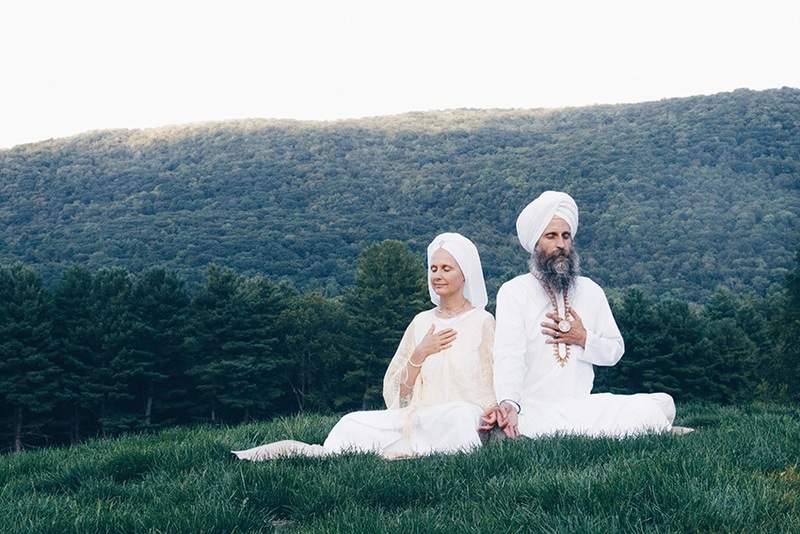 Sopurkh began studying Kundalini Yoga & Meditation in 2000 with his Teacher Yogi Bhajan. He now teaches retreats, workshops, and classes all over the world with his wife Snatam Kaur, under the guidance of his Mentor Gurmukh. Snatam Kaur is an American singer, peace activist and author raised in the Sikh and Kundalini Yoga tradition. She grew up in the presence of her spiritual teacher, Yogi Bhajan, learning the essence of Naad Yoga, a form of yoga focusing on sacred sound. At the core of this practice is an essential experience of peace and healing which helps her music be accessible to all people. Her book Original Light, is a compassionate and supportive guide to creating a daily spiritual practice. To find out more about her visit snatamkaur.com.